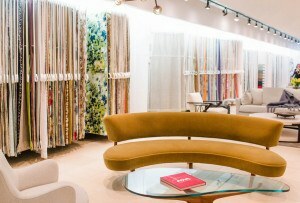 These factories have been spun into one-of-a-kind homes. By Madeline Bilis·	 8/8/2018, 11:48 a.m.
Massachusetts is chock full of mill towns. 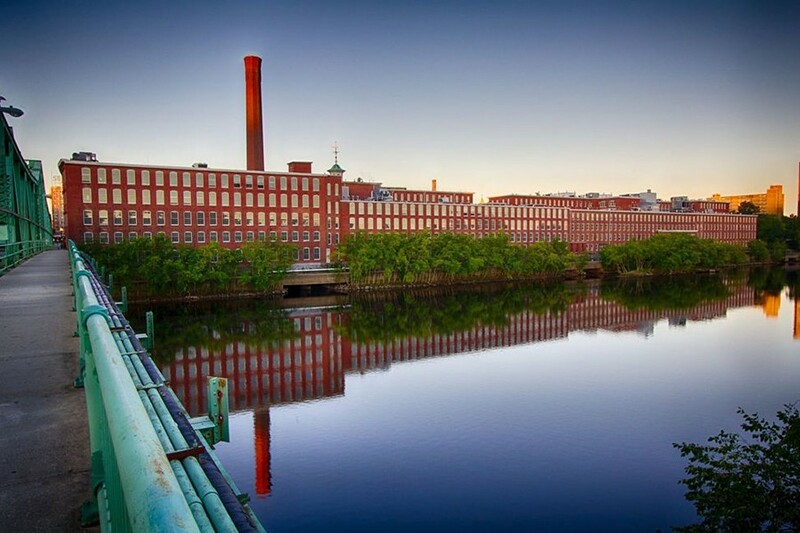 Our shining example is Lowell, the town that led the country into the industrial era with its pioneering water-powered textile mills. But in the centuries since then, the state’s mills have gone dormant, instead being transformed into one-of-a-kind condos and apartments. Here, we’ve spotlighted six former mill buildings with eye-catching units available. 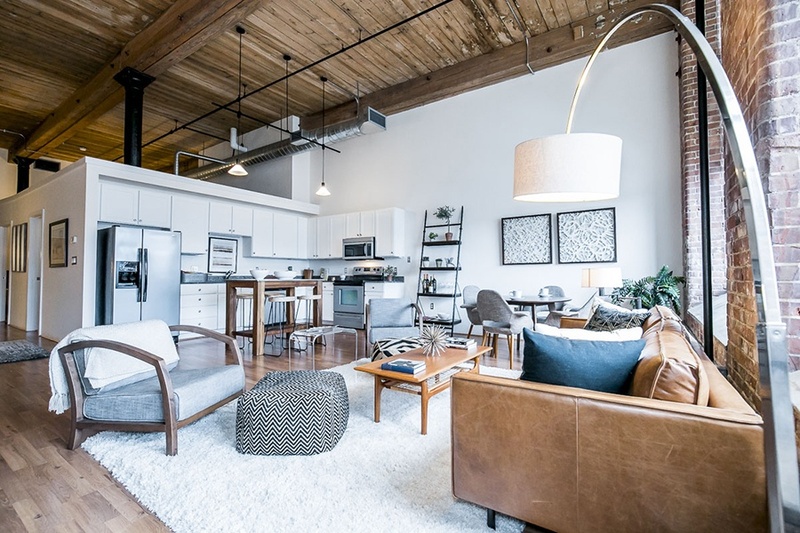 The luxe offerings at Lawrence’s Riverwalk Lofts range from studo, one-, and two-bedroom apartments. The building, once home to the American Woolen Company, is situated in the town’s historic mill district, just across from the Merrimack River and an MBTA Commuter Rail stop. This one-bedroom apartment available now boasts 16-foot timber ceilings, 12-foot windows, and an oversized gourmet kitchen. 210 Merrimack St., Lawrence, riverwalklofts.com. These mill apartments are so historic they’re located inside a National Historical Park. 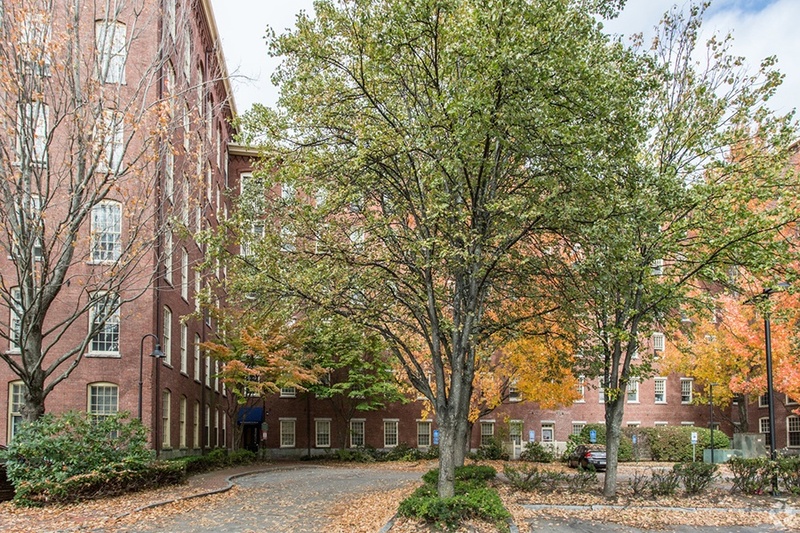 Also situated along the Merrimack, the Apartments at Boott Mills feature a slew of enticing amenities like an observation roof deck, courtyards with lounge seating, a media room, and a fitness center. One-, two-, and three-bedroom units are available now. 141 John St., Lowell, boottmills.com. 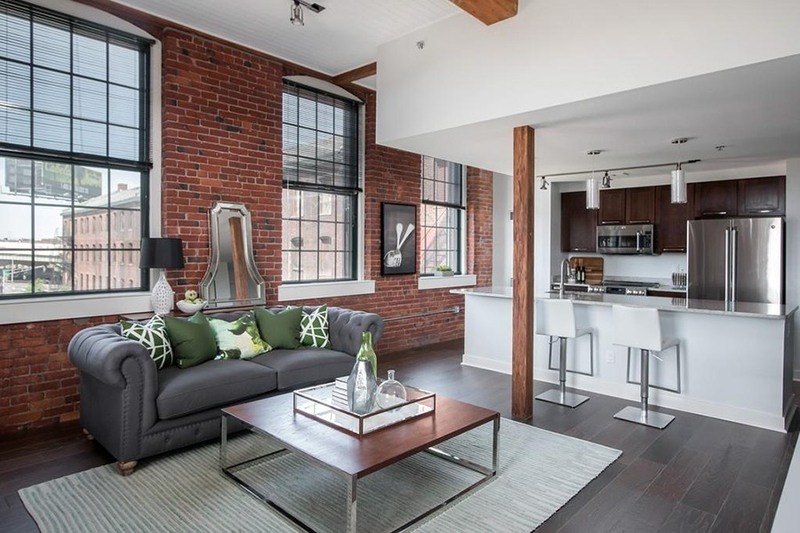 The Canal Lofts are some of the most glamorous condos for sale in Worcester right now. 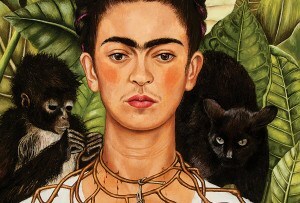 (They’re also steps from Birchtree Bread Company and Crompton Collective—two must-visit spots in Worcester.) 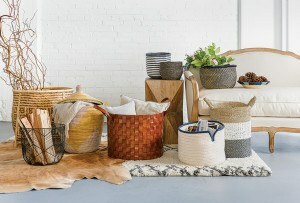 The one- and two-bedroom units on the market offer exposed bricks and beams, naturally, as well as walk-in closets, glass-enclosed showers, and bike storage. 48 Water St., Worcester, owncanallofts.com. 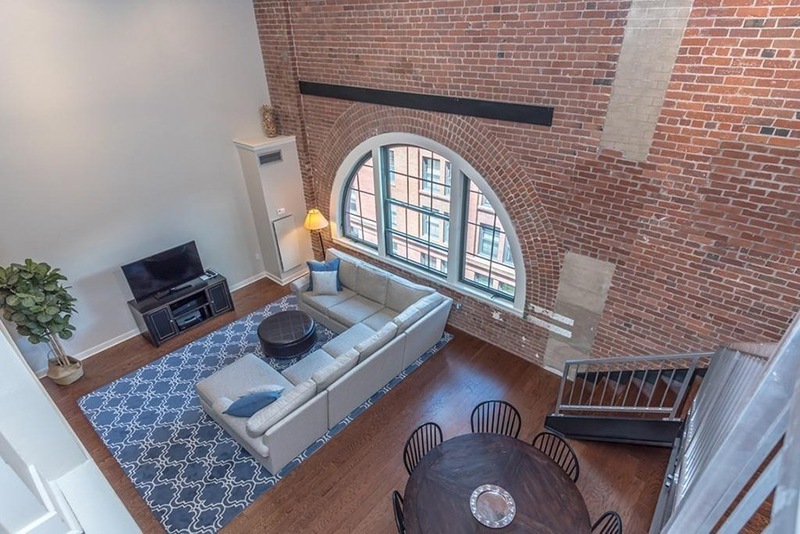 There are plenty of unique living spaces to choose from at the Lofts at Lower Mills complex in Dorchester, including a few spots inside a former chocolate factory. This stunning two-bedroom for sale features soaring 30-foot ceilings and impressive arched windows. It also comes with one rare amenity for the city: two deeded parking spaces. 1245 Adams St., Dorchester, loftsatlowermills.com. The four buildings that make up the Hamel Mill Lofts were once the headquarters of L.H. Hamel Leather Co., one of the largest tanneries in the country. 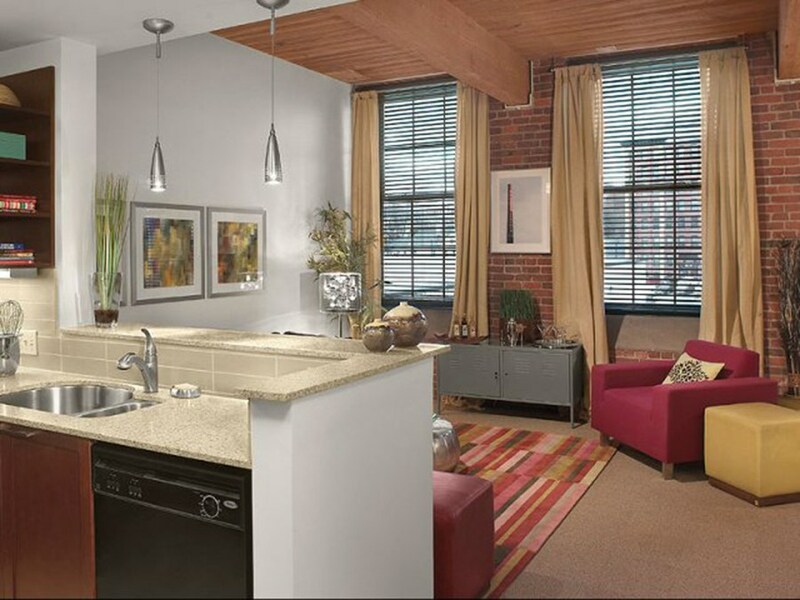 Today, the mill rents out stunning lofts with ultra-convenient proximity to the Commuter Rail. Inside the complex, there’s a yoga studio, a billiards room, and a catering kitchen. 40 Locke St., Haverhill, hamelmilllofts.com. The Massachusetts Mills sit right next to Lowell National Historical Park. 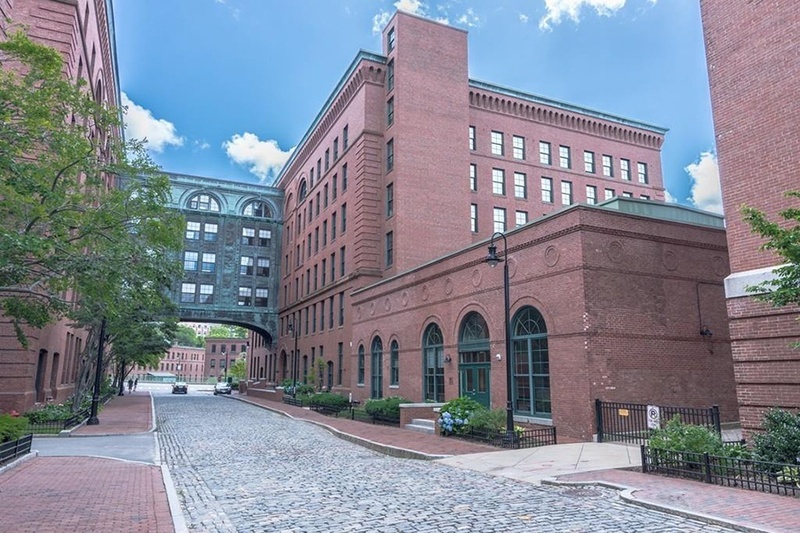 The preserved building boasts a swimming pool along the Merrimack, and its one-, two-, and three-bedroom rentable units offer huge closets and high ceilings. They also come with one parking spot. 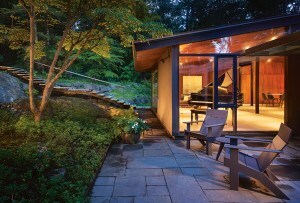 150 Massmills Dr., Lowell, corcoranapts.com.